This year's Interplanetary was bigger than ever with an incredible 140 players duking it out across 70 tables. Many tables returned from last year, albeit in different configurations and many were completely new too. Again, many of the tables had table-wide scenery special rules including poor visibility (sandstorm or blizzard) or had other specific terrain rules which had to be adhered to, although there was no table-wide saturation this year. I've put a photo of the terrain rules which applied after each table if applicable. Last weekend I travelled to the Interplanetary and took the chance to attend the various seminars as well as the main tournament which I'll be writing up over the next couple of weeks. Once again we started with the 'round table' - and unlike last year at least there was a table even if it wasn't actually round - which was a mini Q&A session taking pre-selected questions from social media and ad-hoc ones from the crowd. This year there were many shorter questions and answers compared to last. Our hosts this year were Bostria, Gutier and Alberto. This year I had the opportunity to play a bit of a special game, not just because it was at my first BOYL since 2014 but because I travelled up with my Dad, against whom I haven't played Warhammer in the better part of 15 years despite us both painting a significant amount of models in the interim! Our game wasn't planned out particularly well - we did rather just throw down whatever we had, but it was a cracking day and we managed to wrap it up in a single day! The Lizardmen army arrayed for war. Just a quick update today to show what I've been adding to my Lizardmen lately. Having finished up a couple of chunky blocks of saurus warriors, I thought it was time to turn to something a bit meatier. The Human-Sphere wiki is officially a full year old! Can you believe it's been that long already? 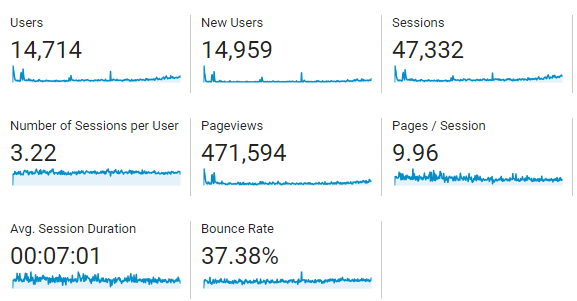 I thought this might be a good opportunity to update people on how the site is doing, whether I've met my goals from one month in and what the plans for the future might be. Is it a bird? Is it a plane? No, it's a .... snake? This Coatl has been sitting in the pile for a long time as I've been unsure of what scheme I wanted to use on it. But after seeing a beautifully painted example of this mini by Andrew 'Frogg' on the Codex Slann group I knew I had to steal his idea! Things have been pretty quiet here for far too long! I've had a lot of things going on over winter - trying to sell/buy a house (ongoing), pass exams (successfully), and polish off a D&D campaign amongst them. This has been combined with an absolute varnishing nightmare where every can I've used has ended up frosting, causing a lot of wasted time and reworking. Overall, I just felt I lost my creative mojo a bit which is a great shame as I have some fantastic minis to paint! But I finally got a big chunk of painting finished off and I'm very happy with my two new units of saurus with spears. There are two fairly chunky 6x3 blocks that will serve as a strong backbone for my army.